-- Aspiring psychiatrist and high school Valedictorian, Samantha (Sam) Sullivan, never thought she would fall for the one mysterious guy she has been speaking to over the phone for months, the boy the counselors called Daggers. She wasn't supposed to talk to him outside of their sessions. But as she began to peel the layers of Daggers and learn who he is, the one boy she is supposed to be saving, might just be the one who is saving her. A contemporary teen/young adult romance with edge. Due to mature social issues presented in the book, this series is suitable for mature teens and young adult, new adults. 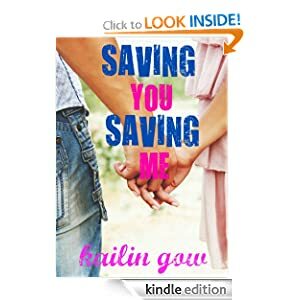 Saving You Saving Me or to sample this book for FREE! -- Dr. Harmon Gettys is the perfect man: tall, dark, handsome, and brilliant. He’d seemingly be a catch for any woman—especially those who desire an apparently charmed offspring. But Gettys uses his seed for murder, to create a legacy of violence. For Fire Marshal Greymon Gift, gruesome burn-related murders are nothing new. But a sudden spike in his jurisdiction has Gift on high alert. When an FBI investigation links multiple arson scenes to the deceased Dr. Gettys, Gift is pulled even deeper into a case that’s hot enough to start a conflagration. He knows that even if Gettys were alive, such an assortment of violent crimes could never be committed by just one man. So who is spreading these horrors from coast to coast? Gift and FBI Agent Rose Cleary partner up to stop the growing number of savagely murdered victims, but can they uncover the truth before they wind up on the list of the dead? 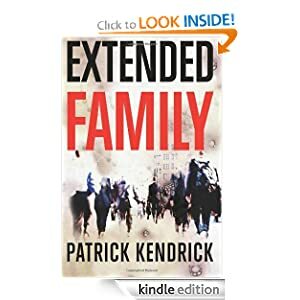 Extended Family offers a thrilling look into the heart of darkness. Horrifying and suspenseful, the novel explores the idea that evil can be passed like a torch from one generation to the next. As Gettys proved—and Gift is about to find out—sometimes all it takes is a spark to set the family tree ablaze. Extended Family or sample this book for FREE! 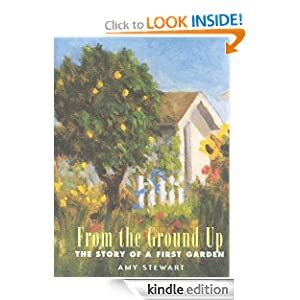 -- Amy Stewart had a simple dream. She yearned for a garden filled with colorful jumbles of vegetables and flowers. After she and her husband finished graduate school, they pulled up their Texas roots and headed west to Santa Cruz, California. With little money in their pockets, they rented a modest seaside bungalow with a small backyard. It wasn't much--a twelve-hundred-square-foot patch of land with a couple of fruit trees, and a lot of dirt. A good place to start. From the Ground Up or sample this book for FREE!